Growth and development in West Bengal are not keeping pace with the rest of the country and especially the states in the West and South. The first and last victims of Bengal’s backwardness and de-industrialization are the people of the state and they ought to be the BJP’s constituency. The Bengal BJP should learn from Modi’s success in 2014. The Bharatiya Janata Party must acquit itself with responsibility and dignity in the West Bengal election. Local leaders speak loosely of using the ‘Durga card’. Durga is not a card. She is a much revered deity in Bengal. She must not be encashed for electoral purposes. Smriti Irani’s reference to Durga in Parliament was in a particular context. It cannot by any means spill onto the streets of Calcutta. The central BJP should put a stop to such attempts by its local unit. West Bengal has enough concerns of its own to add a beleaguered goddess to it. The state has been brought to financial ruin by a Chief Minister who has little understanding of economics and cares even less. Growth and development in West Bengal are not keeping pace with the rest of the country and especially the states in the West and South. This should be the chief campaign issue for the Bharatiya Janata Party. The Marxist opposition to Mamata Bannerjee in the state has a still poorer reputation in matters of growth and development. In decades of Marxist rule, West Bengal was plunged into backwardness from which it shows scant signs of emerging. If there was any entrepreneurship in the state to speak of, it collapsed with the jute economy and the onset of Naxalism in the 1970s, from which there has been no recovery. The erstwhile Marxist government of Buddhadeb Bhattacharjee tried to revive the economy using ‘socialism with Chinese characteristics’. It grabbed rich farmlands to give to industry and triggered Mamata’s shrill agitation in Singhur, etc, which drove fear into the hearts of industrialists. The redoubtable Tatas fled. Now her pleas to them to return are falling on deaf ears. The first and last victims of Bengal’s backwardness and de-industrialization are the people of the state and they ought to be the BJP’s constituency. People are tired of Mamata Bannerjee’s antics and inability to deliver on the economic front and they see no hope from the CPI-M as well. This writer would not trust one rupee of his money to Sitaram Yechury’s economic and financial skills or to those of his nominees in West Bengal. This is the greatest predicament and tragedy of Bengal. There can be no hope from the Congress party too seeing how Manmohan Singh was stymied from carrying out critical economic reforms at the Centre. The ruin of the national economy is UPA’s doing over 10 years of unmitigated loot and venality. Witnessing Prime Minister Narendra Modi’s herculean efforts to revive the economy at the Centre, the people of Bengal would place hope on the BJP to do the same in West Bengal, provided the party visualizes politics beyond emotionalism and short-term gains. Pak NSA has apparently shared information with Ajith Doval regarding the likelihood of a terrorist attack in Gujarat. While one cannot be certain of Pakistan’s motive in sharing this information, one can only hope that Pakistan has decided to recalibrate its relationship with us. Both sides need to think of their own interests first as only that can help them pull their billion people out of the clutches of poverty. One need not be a soldier to understand that the Secretary was being disingenuous, in the extreme, as aircraft have little value in a counter-insurgency environment, especially so if it involves dealing with one’s own population and that too in the mountains. There can be little doubt that these aircraft are for use against India, a consistent policy followed by the US Government, in tandem with the British, ever since we became Independent seven decades ago. The need for a suitable base on the subcontinent has never gone away for these Imperialist powers, ever since it was first proposed by Field Marshal Archibald Wavell, the last Viceroy of British India. One can certainly resonate to the arguments made by the likes of Michael Rubin and well known academic, Christine Fair, against not just the selling of the warplanes but also their anger at the duplicity shown by Pakistan in Afghanistan. There is sufficient documentary evidence to suggest that Pakistan has not only supported the Taliban after it was thrown out of Afghanistan following 9/11, but has also worked against American interests there and is primarily responsible for the casualties that US and its NATO Allies have suffered subsequently. They also believe that Pakistan is presently intent on destabilizing the Government in Afghanistan and in bringing back the Taliban. They also believe that Pakistan must be declared as a State that sponsors terrorism and must face economic sanctions. Christine Fair, in particular, is vociferous in arguing that the United States must work with India to counter Pakistan. As she suggested at the recently concluded Observer Research Foundation-Ministry of External Affairs organized “The Raisana Dialogues” at New Delhi, the United States must look towards helping India develop advanced offensive capability so that both countries can co-jointly neutralize Pakistan’s terror producing factories. Obviously, she seems to imply that the United States would provide critical actionable intelligence and the finance and equipment required to upgrade India’s conventional military and Counter Terrorism capabilities, especially special operations, so that it can engage Pakistan. Ms. Christine Fair is vociferous in arguing that the United States must work with India to counter Pakistan. Since the government keeps making up for the losses of these companies, the management and the employees have no incentives to turn it around. Those who have ended up working for the government over the last couple of decades were definitely not the best of the lot. Many of these loss making companies own large tracts of land which can be a huge revenue spinner for the government. Buried in the inside pages of the Economic Survey of 2015-2016, released on 26 February 2016, is a very interesting data point. The accumulated losses of sick public sector enterprises as of 31 March 2014, stood at Rs 1.04 lakh crore. This essentially means that the Government of India has pumped a lot of money into these companies over the years to keep them going. The Survey does not point out whether the accumulated loss number of Rs 1.04 lakh crore takes the time value of money into account. What is the time value of money? Let’s say 10 years back the public sector enterprises made a loss of Rs 2,000 crore. The government took on this loss and compensated them for it. The value of the Rs 2,000 crore the government handed over to these loss making enterprises, ten years later, would be much greater than Rs 2,000 crore. (This example is for illustrative purpose only). The loss number of Rs 1.04 lakh crore probably does not take the time value of money into account. If it had, the loss number would have been much higher. The question is, why have the public sector enterprises lost so much money over the years? If the government keeps making up for the losses of any company, what incentive do the management and the employees have to turn it around? None. A good comparison here are the public sector banks, in which the government has infused Rs 1.02 lakh crore of capital between 2009 and September 2015. There is another point that needs to be made here. Up until the 1990s when the government ran most businesses in the country, the smartest lot either left the country or worked for the government. Russia is determined to maintain its nuclear deterrence against the United States. Its navy plans to test 16 submarine-launched ballistic missiles (SLBMs) in a single salvo from a nuclear submarine in the Barents Sea soon, according to a source quoted in Russian daily Izvestia, though the source did not provide a date. Other Russian media agencies have reported that only two missiles would be tested. Launching 16 SLBMs would be notable; most tests launch only a single missile, maybe a handful at most. But it would also be risky and expensive. Regardless of how many missiles Russia launches, the point is the same: Moscow is brandishing its nuclear capability in response to U.S. advancements in anti-ballistic missile technology and nuclear modernization. Testing intercontinental ballistic missiles (ICBMs) is not uncommon. The United States tested an LGM-30G Minuteman III ICBM off the coast of California as recently as Feb. 25, its second Minuteman III test that month. Though nuclear testing has largely ended (the exception being North Korea) since the Comprehensive Nuclear-Test-Ban Treaty was adopted in 1996, testing of the delivery vehicles for nuclear warheads continues unabated. Testing ensures that nuclear-capable missiles continue to work and have not deteriorated with age. It also broadcasts reliability to potential enemies, conveying a country's still-active capability to launch a nuclear strike. Finally, even though countries such as Russia and the United States are restrained by the New START (Strategic Arms Reduction Treaty) and the Intermediate-Range Nuclear Forces (INF) Treaty, launches help modernize nuclear arsenals. As new missiles and bombs are built, they require tests to see whether they can effectively reach their target. Deterrence figures prominently in the increase of missile testing as well. Russia's nuclear arsenal not only enshrines the country's position as a great power, it also guarantees security against potential foreign foes. Russian conventional military power is no longer an assurance against NATO's military prowess and China's rapidly modernizing conventional military force. Understandably, Russia's nuclear arsenal continues to be the top priority in its defense spending. However, Russia is concerned by the possibility that the United States will undermine its nuclear deterrence. The United States is in the midst of an estimated $350 billion nuclear modernization program and is simultaneously pursuing anti-ballistic missile technology. Moscow fears that these efforts have the potential to break the nuclear balance between the countries, reducing its deterrence capabilities. Specifically, an increasingly precise U.S. nuclear arsenal coupled with a reliable anti-ballistic missile network could enable Washington to launch a decapitation strike, which would severely damage Russia's leadership structure and nuclear arsenal in a first strike, while leaving the United States able to intercept and destroy the surviving missiles that Moscow launched in retaliation. A viable nuclear scenario that leaves the United States largely unscathed in a nuclear attack could, in theory, induce Washington toward such an attack. Of course, the world would suffer terrible nuclear fallout, but military doctrine has to engage with worst-case scenarios. As Hamas expands its tunnel network in Gaza, Israel, and the United States are collaborating on a clandestine project to thwart the Islamist group’s subterranean advantage. KHAN YOUNIS, Gaza — Bassem al-Najar has been homeless since August 2014, when Israeli warplanes demolished his house during the 50-day conflict that killed more than 2,000 Gazans and 72 Israelis. Najar lost his brother in the war, and for the next four months, he lived in a U.N. school with his wife and four children, along with 80 other families. They moved into a prefabricated hut, resembling a tool shed, in December 2014, where they expected to live for just a few months until their home was rebuilt. Today, he is still one of an estimated 100,000 Gazans who remain homeless. Yet while much of Gaza still lies in ruins, what has taken less time to rebuild is Hamas’s subterranean tunnel network, the very thing Israel entered Gaza to destroy. During Operation Protective Edge, the name used by the Israel Defense Forces (IDF) for the 2014 war, the military uncovered and destroyed 32 cross-border tunnels that snaked for miles beneath Gaza and reached into Israeli territory. Many of them, according to the IDF, began inside homes and mosques in Gaza and ended inside or on the edge of Israeli border towns. Hamas has made no secret of its efforts to fortify its labyrinth of tunnels, which have emerged as the group’s most powerful weapon — far more effective than its rocket arsenal. In just a handful of tunnel attacks over the course of that summer, Palestinian militants managed to kill 11 Israeli soldiers and capture the bodies of several soldiers in the hope of arranging a future prisoner exchange, in which Israel would trade Palestinian prisoners for the return of soldiers’ bodies. “The resistance continues on its path of liberation of the land,” Ismail Haniyeh, a political leader of Hamas and former prime minister of the Palestinian Authority, told a crowded mosque in Gaza City in late January. During the 2014 war, Hamas fired more than 4,800 rockets and 1,700 mortars at Israel, according toAmnesty International. Thanks to the Iron Dome, a first-of-its-kind anti-rocket system developed by Israeli engineers with the help of nearly $1 billion from the U.S. government, many of them were shot out of the sky before they could reach civilian towns and cities. The Iron Dome explains the extremely low number of civilian deaths on the Israeli side. But there is no Iron Dome-type system that has proved as effective at thwarting Hamas’s tunnel network. Although they are still waiting for their homes to be rebuilt and are living with just a few hours of electricity a day and barely any potable tap water, Najar and other Palestinians are not angry with Hamas for rebuilding the tunnels, which could lead Israel to wage another war to destroy them. “What angers me is that the occupation is still imposing a siege on Gaza, which prevents the building process,” he says. In fact, since the cease-fire between Israel and the militant Islamist group Hamas, more than 3 million tons of construction material have entered Gaza through Israel’s Kerem Shalom border crossing, according to Israeli figures. The first major tunnel attack occurred near that same crossing in 2006, when 19-year-old Israeli soldier Gilad Shalit was captured by Hamas militants. Hamas held Shalit in Gaza until 2011, when Israel exchanged him for 1,027 Palestinian prisoners. The prospect of capturing another Israeli soldier, and concluding another prisoner exchange, is one reason the tunnels are so valuable to Hamas. According to experts in Palestinian politics, there is actually a surplus of cement and other construction materials in Gaza, leading to a black market that has enabled Hamas to easily repair the tunnels that Israel destroyed in 2014 and build new ones. The U.S. Senate on Thursday blocked an effort to prevent the $700 million sale of Lockheed Martin Corp (LMT.N) F-16 fighter jets to Pakistan, although a key lawmaker said he would not allow the use of U.S. funds to finance it. Lawmakers voted 71 to 24 against an attempt introduced by Republican Senator Rand Paul to prevent the sale under legislation known as the Arms Control Act. President Barack Obama's administration announced on Feb. 12 that it had approved the sale to Pakistan of the aircraft, as well as radars and other equipment. It drew immediate criticism from India and concern from some members of Congress. Paul had called Pakistan "an uncertain ally" and other lawmakers expressed concerns about Pakistan's nuclear program, commitment to fighting terrorist organizations and cooperation in the Afghanistan peace process. However, they generally supported the sale, saying the South Asian state needs to modernize its air force and counter-terrorism activities. Republican Senator Bob Corker said he would use his power as the chairman of the Senate Foreign Relations Committee to bar the use of any U.S. funds for the deal. In a statement, Corker said, "Prohibiting a taxpayer subsidy sends a much-needed message to Pakistan that it needs to change its behaviour, but preventing the purchase of U.S. aircraft would do more harm than good by paving the way for countries like Russia and China to sell to Pakistan while also inhibiting greater cooperation on counter terrorism." The United States identified Pakistan as a key partner in its war against terror following the Sept. 11, 2001, attacks and spent billions of dollars on military aid to help the country fight insurgents. But there is growing consternation in Washington about continuing with the same level of assistance unless Pakistan provides evidence it is using the funds effectively to eliminate militants. He’s an isolationist with drones and special-operations forces. Teaching U.S. foreign policy at Stanford, I had been waiting for a piece like “The Obama Doctrine” for seven long years. Missing among reams of adulation and vituperation directed at the president was an intimate, yet dispassionate look like Jeffrey Goldberg’s that would help my students penetrate the most puzzling presidency since America’s entry into the great-power system, circa 1917.
Who is this Barack Obama, where does he fit into the traditional matrix of American thought on foreign policy: realism vs. idealism, isolation vs. intervention, power politics vs. liberal institutionalism? Above all, how to crack the mother of all mysteries: Is Obama overseeing the self-containment, or “self-disempowerment,” of the mightiest nation on earth? The voice of protests from New Delhi and US legislators notwithstanding, the Obama administration seems determined to go ahead with the sale of eight F-16 fighter jets to Pakistan. Secretary of state John Kerry would like the world to believe that these fighter jets are essential to Pakistan in its fight against terrorism. This theory has few takers, fewer among the informed. Contrast this to the enthusiasm being shown by the US to enlist India’s cooperation to keep Chinese maritime ambitions in check. The chief of the US Pacific Command Admiral Harry Harris, speaking at a recently held event in New Delhi, said that “in the not too distant future, American and Indian Navy vessels steaming together will become a common and welcome sight throughout Indo-Asia-Pacific waters, as we work together to maintain freedom of the seas for all nations”. While Manohar Parrikar, India’s defence minister, has ruled out any prospects of “joint patrol” with the US, the disjunction in Washington’s policy with respect to India has less to do with coincidence and more to do with design. As the Obama’s administration is drawing to a close, the US is realizing that its pivot/rebalance to Asia leaves a lot to be desired. To be sure, the US has, of late, woken up to China’s assertive maritime claims and the US Navy destroyer USS Lassen even conducted a freedom of navigation operation in South China Sea on 27 October 2015. These moves, however, came too late and the insecurity of US allies continues to mount. While it is difficult to envisage New Delhi dragging itself into the ‘line of fire’ in the South China Sea so soon, Indian apprehensions aren’t just confined to how Beijing will react. New Delhi is simply not as accustomed to geographic compartmentalization as Washington is. For the US, India is a useful partner for providing maritime security, but its views on Pakistan and Afghanistan can be conveniently ignored when required. And there are no prizes for guessing which of the two—becoming a net security provider in the Indian Ocean and Western Pacific vis-à-vis getting Pakistan to halt terrorism in India—is more politically resonant in New Delhi. Despite the famed bonhomie between President Barack Obama and Prime Minister Narendra Modi, New Delhi does not hold any leverage over the talks between the Afghanistan government and the Taliban. In fact, the whole process has, so far, been Pakistan-led and Pakistan-owned as opposed to India’s preference for an Afghan-led and Afghan-owned dialogue process. As part of the research for my Crouching Tiger book on the rise of China’s military and its companion documentary film, I interviewed 35 of the top experts in the world from all sides of the China issue. These are key edited excerpts from my sit-down at the University of Chicago with Professor John Mearsheimer, author of the realist classic work The Tragedy of Great Power Politics. "My argument, in a nutshell, is that if China continues to grow economically over the next 30 years, much the way it has over the past 30 years, that it will translate that wealth into military might. And it will try to dominate Asia, the way the United States dominates the Western Hemisphere. And my argument is that this makes good strategic sense for China. Of course, the United States will not allow that to happen if it can. And the United States will, therefore, form a balancing coalition in Asia, which will include most of China's neighbors and the United States. And they will work overtime to try to contain China and prevent it from dominating Asia. This will lead to a very intense security competition between the United States and China's neighbors on one hand, and China on the other hand. And there will be an ever-present danger of war." Of course from this observation rises the imperative if not to strangle China’s economy then to certainly slow it down. "There's no question that preventive war makes no sense at all, but a much more attractive strategy would be to do whatever we could to slow down China's economic growth. Because if it doesn't grow economically, it can't turn that wealth into military might and become a potential hegemon in Asia. I mean, what really makes China so scary today is the fact that it has so many people and it's also becoming an incredibly wealthy country. Our great fear is that China will turn into a giant Hong Kong. And if it has a per capita GNP that's anywhere near Hong Kong's GNP, it will be one formidable military power. So the question is, Can you prevent it from becoming a giant Hong Kong? My great hope is that China's economy will slow down on its own. I think it's in America's interest, and it's in the interest of China's neighbors to see the Chinese economy slow down in terms of its growth rate in really significant ways in the future because if that happens, it then can't become a formidable military power." "I think it's very clear that China is a revision of state. The Chinese have made it clear that they think that Taiwan should be made part of China. They believe that the Senkaku or Diaoyu Islands, in the East China Sea, should become Chinese. The Japanese, of course, now control them. And they believe that they should dominate the South China Sea in ways that they don't at the moment. And what the Chinese would like to do, is they'd like to push the United States back towards the United States. And the first step would be to push them beyond the First Island Chain, which would allow them to control all of the waters in between that First Island Chain and the Chinese mainland. And then, of course, if they push the Americans out beyond the Second Island Chain, they'd control most of the West Pacific. They'd control the waters off their coastline." One of the most unexpected news coming from China recently is the low raise in the People’s Liberation Army Defence Budget for the coming year. During the first session of the National People’s Congress, it was announced that the increment would only be 7.6 per cent compared to 10.1 per cent last year; it is the smallest military budget increase in several years; the first single-digit since 2010. Even The Global Times, the party mouthpiece, admitted that the news came as a surprise “as some media previously predicted that the Defense Budget would increase by as high as 20 per cent”. It is also what the usually well-informed South China Morning Post had expected. China’s 7.6 per cent increase corresponds to $146 billion, while India’s entire defence allocation is only $40 billion, the 0.96 per cent rise for India will not give the nation a chance to catch up. Prakash Nanda, a defence analyst commented: “What is more surprising is that not only did Mr Arun Jaitley fail to mention the Defence Ministry in his speech, but his ministry also went one step further in removing the Ministry of Defence from the list of ‘important ministries’ in highlighting the budget proposals in its Press releases.” All this is quite worrying. Defence Minister Manohar Parrikar, however, announced that the Rafale deal with Dassault of France was on, though the minister boasted to be a ‘tough negotiator’ and wanted the ‘best price’ for Rafale fighter jets from France. It is fine to be a tough negotiator, but Mr Parrikar should not forget that Dassault too is a hard bargainer. Further, the position of the French consortium is not the same as two years ago: Their order-book is full with firm orders from Egypt and Qatar, adding to the French Air Force needs; and first order, first serve, remains the rule. Small mercy for the Indian Air Force, Mr Parrikar announced that the next Budget takes into account the Rafale deal for which ‘adequate money’ had been kept aside. One can only hope that an agreement will soon be found. Let us return to the other side of the Himalaya, where the situation is not too bright…and transparency even worse than in India. Veteran Chinese journalist and historian Yang Jisheng investigated the massive death toll from China’s Great Famine, and the government policies that caused it, in Tombstone, a book that is often considered the most authoritative account of the man-made disaster that stretched from 1958 to 1962. Published in 2008, the book is still banned in Mainland China. Recently, Yang himself was banned from traveling to the US to accept an awardfor “consciousness and integrity in journalism” due to be presented today (March 10) at Harvard University. In Tombstone, Yang detailed how over 36 million Chinese people died over those five years, as a direct result of Communist Party Chairman Mao Zedong’s “Great Leap Forward” and other policies. The Communist Party’s official explanation of the famine lays much of the blame on unusual weather and fraying relations with the Soviet Union, although Mao also publicly took blame afterward. Yang spent years searching provincial and local archives and to uncover new information on the death toll, incidents of cannibalism, and the Party’s systematic efforts to cover up the disaster. The book was first published in Chinese in Hong Kong, and went into eight reprints, before being published in English in 2012. Xinhua has forbidden its former employee from traveling to the US to collect his prize, Yang said last month, and state-backed media are downplaying the award. “Western awards fell like rain on Chinese ‘dissidents’ in recent years,” nationalistic state tabloid Global Times wrote (link in Chinese) after Yang’s travel ban was reported by Western media. “We should be more wary of it,” the editorial said. A speech by Yang will be read at the awards ceremony today, organizers told Quartz. Quartz has taken some of Yang’s meticulous research explaining the root causes of the famine, and its widespread effects, and put it in chart form, in order to illustrate the size of the tragedy. Natural disaster or man made? The Communist Party’s official account of the Great Famine says that government policies were at fault, but it also blames nature. According to official figures, areas in China affected by drought or flood reached 28 million hectares—more than the total area of France—in 1961. The previous year also recorded the lowest grain output in more than a decade. But those figures are fiction, according to Yang’s reporting. He uncovered a document written by Xue Muqiao, former head of the national statistics bureau, in 1958 that said “we give whatever figures the upper-level wants,” to overstate disasters and relieve official responsibility for deaths due to starvation, Yang wrote. These unreliable data points don’t even correlate with each other, Yang noted. The reported areas affected by drought and flood in 1961 are 15% bigger the previous year, but grain output in 1961 is nearly 3% higher than in 1960. Major powers close to U.N.-brokered peace talks on Syria are discussing the possibility of a federal division of the war-torn country that would maintain its unity as a single state while granting broad autonomy to regional authorities, diplomats said. The resumption of Geneva peace talks is coinciding with the fifth anniversary of a conflict that began with protests against President Bashar al-Assad before descending into a multi-sided civil war that has drawn in foreign governments and allowed the growth of Islamic State militants in Syria and Iraq. Fighting in Syria has slowed considerably since a fragile "cessation of hostilities agreement" brokered by the United States and Russia came into force almost two weeks ago. But an actual peace deal and proper ceasefire remain elusive. As the United Nations' peace mediator Staffan de Mistura prepares to meet with delegations from the Syrian government and opposition, one of the ideas receiving serious attention at the moment is a possible federal division of Syria. Neither the opposition nor government has confirmed its participation in the latest round of peace talks in Switzerland. Speaking on condition of anonymity, a U.N. Security Council diplomat said some major Western powers, not only Russia, have also been considering the possibility of a federal structure for Syria and have passed on ideas to de Mistura. "While insisting on retaining the territorial integrity of Syria, so continuing to keep it as a single country, of course there are all sorts of different models of a federal structure that would, in some models, have a very, very loose center and a lot of autonomy for different regions," the diplomat said. He offered no details about the models of a federal division of authority that could be applied to Syria. Another council diplomat confirmed the remarks. The biggest sticking point in the peace talks remains the fate of Assad, who Western and Gulf Arab governments insist must go at the end of a transition period envisioned under a roadmap hammered out in Vienna last year by major powers. Assad's backers Russia and Iran say Syrians themselves must decide. If IS is able to develop such weapons, the U.S. will have to change its strategy. A U.S. special operations team captured Sleiman Daoud al-Afari, a former Iraqi government official under Saddam Hussein, in northern Iraq last month, officials said on March 9. Al-Afari was involved in the development of chemical weapons during the Saddam era. Chemical weapons, in particular mustard gas, were used against Kurds during an uprising in 1991 and in the Iran-Iraq war, so we know that Saddam had these weapons. The U.S. is claiming that al-Afari was involved in that program. This is important because it is also claimed that al-Afari was involved in developing mustard gas for the Islamic State. There were reports several years ago claiming that Saddam had chemical weapons at the time of the U.S. invasion and that they had survived and been delivered to jihadists by former Iraqi officers. That report was hard to believe because U.S. forces turned Iraq upside down in 2003 looking for such weapons, and the ability of mustard gas to retain its potency more than a decade later, under undoubtedly rough conditions, is dubious. What is important is whether IS is in possession of mustard gas, and according to the reports on al-Afari’s interrogation, there is a special team working to develop this and other chemical weapons. That would change the dynamic of the war against IS dramatically, of course. Mustard gas was used widely in World War I. It was referred to as a blistering agent. It causes blisters on any surface it touches, including lungs or eyes. If it does not kill, it will so debilitate the victim as to render him helpless. The chemical is delivered by artillery shells sometimes fitted with an aerosol device to spray as it travels. It can be delivered by any sort of container strong enough to withstand the delivery process – the shell should not burst as it leaves the attacker’s artillery. It is an area weapon, when properly configured. An artillery barrage of mustard gas could render an area unpassable. During World War I, in addition to simply inflicting casualties, it was used to seal off certain areas so that no attack could be mounted from the direction of the mustard gas. Since it was persistent, it could protect a flank for at least a day, depending on the concentration of the gas. It was not useful in preparation of an offensive, since troops couldn’t pass through the area. But it could make an offensive possible by protecting forces from one direction while they focus on another. The United States essentially fights with light infantry troops on foot or in small armored vehicles. It uses helicopters, fixed wing air craft and drones to deliver attacks. It has limited armor – either Abrams or Bradley fighting vehicles. This is important because these vehicles have NBC capabilities – nuclear, biological and chemical – meaning that they can protect those inside from mustard gas. The problem is that this is not an armored war. Infantry troops have their own defense against gas; a gas mask is helpful but insufficient as mustard gas would burn the skin. They wear a full body suit called the MOPP suit, which stands for Mission Oriented Protective Posture (you’ve got to love the Defense Department). The problem with these suits, although they have improved over time, is that they render soldiers not quite but nearly useless. Managing anything as complex as a weapon while wearing the suit is only minimally possible. Even worse, in extremely hot weather, like Iraq in the summer, the suit can be unbearable. It can save a soldier’s life and health, but at the cost of taking him off duty while he wears it. So simply forcing infantry units into a MOPP posture (as it is redundantly called by Pentagon poets) neutralizes them for a period of time or at least reduces their effectiveness dramatically. Over time, it poses other challenges for the soldier that we need not go into here. That makes mustard gas a formidable weapon. WASHINGTON — The U.S. has "disrupted and degraded" the Islamic State's ability to produce chemical weapons by launching multiple airstrikes in Iraq based on information provided by a militant leader who was captured last month and turned over to the Iraqi government on Thursday, Pentagon officials said. "We feel good about the damage we've done to the program," Pentagon press secretary Peter Cook said. He declined to say which elements of the militants' chemical weapons program were struck or how severely they were damaged. "I'm not going to say we knocked it out in full, but we feel confident that we made a difference." Cook said Sulayman Dawud al-Bakkar, whom he described as the Islamic State's "emir of chemical and traditional weapons," gave up important information about the chemical weapons program during interrogations after being captured in February. Cook declined to say more about the capture, but other defense officials have said al-Bakkar, also known as Sleiman Daoud al-Afari, was captured by U.S. special operations forces in northern Iraq. In its daily tally of airstrikes in Iraq and Syria, the U.S.-led coalition reported on Sunday that it conducted two airstrikes Saturday near Mosul against an ISIS "weapons production facility," but it did not specify that this was a chemical weapons facility. Cook declined to specify which airstrikes were carried out on the basis of al-Bakkar's information, saying to do so could compromise future military action against the Islamic State. Cook declined to offer details about the size, scope or components of what he called a dangerous Islamic State chemical weapons effort. The world’s first cyber-caused electricity blackout shook security experts around the globe. Here’s what it means for keeping the lights on. Who’s behind the attack and what does it mean for the future of war? Cyber security researchers have pointed the finger at pro-Russian hactivist groups. U.S.-based iSight Partners specifically accused the Moscow-basedSandworm. But a wide variety of pro-Russian groups are working against Ukraine and Western forces; one is Cyberberkut, which has taken credit for attacks on German media and NATOsites. So how do these groups operate? History suggests: with stealth and subtlety. Remember 2014, when masked gunmen, not officially affiliated with any larger nation-state, began waging war in Eastern Ukraine? The so-called “green men” completed their invasion before anyone was able to figure out that they were, in fact, invading. The specific culprit in the Ukraine blackout is almost less important than the broader trend: the rise of cyber militias that work on behalf of state interests but whose veneer of independence gives governments plausible deniability. He said pro-Russian hactivist groups use more than 14 zero-day attacks — that is, ways to exploit security holes that were previously unknown to the victim. They are the most effective and the most prized weapons in the hacker’s arsenal — but once you use them, defenders can start to raise shields against them. The fact that pro-Russian groups seem increasingly willing to use them underlines the escalating intensity of the campaign against Western targets. “The greatest cyber criminals of all time, that used to spend most of their time targeting the United States financial sector, now spend four or five hours of their day using SSH, or (secure shell) keys and the same modus operandi” against Ukrainian and Western political adversaries, said Kellerman. Russia’s direct involvement will be nearly impossible to prove. Russia, with its growing military arsenal and increased influence around the globe, poses the greatest strategic threat to the United States, the chief of staff of the Army said March 10. Since the mid-2000s, Russia has been significantly improving its military. Concurrently, it has displayed aggressive behavior such as the illegal annexation of Crimea in 2014, he said during remarks at the New America Foundation’s Future of War conference in Washington, D.C. Fear and pride are fueling the nation's expansion, he said. Russia wants to regain the world power status it once had during the era of czars and the Soviet Union. Milley also noted that while North Korea is not an existential threat for the United States, a war in the Korean Peninsula would be devastating in human terms for those living in the region. “War in the Korean Peninsula from a human perspective could be catastrophic. Seoul is a city of a 25 million people, they are 25 miles from the" demilitarized zone, he said. The city, with a population four times larger than New York City, would face hundreds of thousands of rounds of artillery and rocket fire, he said. “The world has not seen that sort of human tragedy … or sort of violence probably since the really huge battles of World War II,” he said. “A war in the Korean Peninsula would be terrible.” Such a conflict would also have major negative ramifications for the region’s economy, he said. The Islamic State — which is known by ISIS or ISIL — will remain a significant issue for the United States going forward, Milley said. Even if ISIL is destroyed, radical terrorism doesn’t “magically go away,” he said. Milley predicted there would be fundamental changes to ground warfare in 10 to 15 years. For instance, he said there would be a greater reliance on robotics and autonomous convoys. “Any modern Army has a relatively robust logistical tail for fuel, ammunition, food, water,” he said. These convoys can be especially vulnerable to attack. A robotic convoy wouldn’t expose troops to potential casualties. Milley noted that there are many areas of promising emerging technology including in lasers, rail guns and ammunition. Despite technology advancing rapidly, Army procurement is too slow and can be bogged down by delays in the acquisition process, he said. What is the huge power of solar energy? With yesterday’s successful launch of the IRNSS-1F ISRO is only one satellite short of fully operationalising India’s own satellite positioning system. The importance of such a network can be understood from the fact that the Chinese built their own positioning system back in early years of this century, and have granted Pakistan access to the same. With yesterday’s successful launch of the IRNSS-1F ISRO is only one satellite short of fully operationalising India’s own satellite positioning system. The Indian Regional Navigation Satellite System (IRNSS) is envisaged to be a system of seven satellites, four of which will be in a geosynchronous orbit. The remaining three would be in a geostationary orbit. These seven satellites together would help deliver navigation/positional accuracy of up to twenty metres in the strategically important Indian ocean region and up to an area of 1,500 km from the Indian landmass. ISRO has laid special emphasis in ensuring all segments of the system - the ground control units, receivers and the space based units are produced in India and remain in Indian control. There has been ample indication that the primary customer of the system would be the Indian military, although there is enough scope for civilian use too. First, the locally built nuclear submarine INS Arihant has recently passed harbour, sea and weapons trials. It has been reported that the submarine could be inducted anytime and that an induction is only a ‘political call’ away. INS Arihant would carry 12 K-15 medium range (700km) ballistic missiles or 4 K-4 long range (3500 km).ballistic missiles. While these systems may use other ways of positioning and navigation, an Indian GPS is sure to help and may even be a necessary prerequisite for a full scale deployment. Hence the importance of positional accuracy and coverage in the Indian ocean region (IOR). Think a few more nuclear submarines safely lurking away in the depths of the IOR - beyond the reach of Chinese and Pakistani missiles. Second, India’s ballistic missile program is ready for the big leap. If things go to plan, DRDO may test-fire its first canisterised long range ballistic missile capable of hitting targets 5,000 km away (Agni-V). After pre-induction trials and a production run, the missiles are likely to be inducted around 2017-18. Once again, an Indian controlled navigation and positioning system is crucial to navigational accuracy and safety. Third, on the tactical side a number of regiments of Brahmos cruise missile regiments have been inducted. Apart from Brahmos, the locally developed equivalent of the famous American Tomahawk cruise missiles (labelled Nirbhay) will mature at some point in the next 2-3 years. Both the Brahmos and Nirbhay are capable (and need) of using a satellite based navigation/positioning system for enhancing the accuracy of their reach. March 10, 2016: National intelligence services (like the CIA and MI6) continue to find themselves relying more and more on civilian sources for the best data and analysis. A recent example was revealed because of all the anxiety over the huge numbers of illegal migrants trying to get into Europe and other Western countries, many of them by boat. Turns out that the best tool for reducing the use of ships for smuggling was an Israeli firm that built a business on creating a database of normal, and abnormal (and usually illegal) behavior by ships at sea for shipping and maritime insurance companies. This data was easier to collect since the 1990s when all larger ships were required to use the AIS (Automated Identification System) which is essentially an automatic radio beacon (transponder) that, when it receives a signal from a nearby AIS equipped ship, responds with the ship's identity, course, and speed. This is meant to enable AIS ships to avoid collisions with each other. An AIS activity database makes it possible to identify patterns of normal and abnormal behavior. The abnormal behavior, like arriving outside a port and waiting for several days to enter, is what smugglers are often forced to do to avoid arrest. Same thing with travelling outside the most efficient (in terms of fuel used and weather encountered)routes. With enough of this data and a thorough analysis it is very difficult for seagoing criminals to escape detection. Now that navies and coast guards are increasing using this “maritime BI (Business Intelligence)” tool to more quickly shut down the criminal gangs making over a billion dollars a year from all this people smuggling. AIS is also used to send ships important traffic and weather information. AIS is one of two ship tracking systems required, by law, for most ocean going ships. INMARSAT (International Maritime Satellite) is a more elaborate and longer range system. It enables shipping companies to keep track of their vessels no matter where they are on the planet. INMARSAT uses a system of satellites, which transmit AIS-like signals to anywhere on the oceans. It only costs a few cents to send an INMARSAT signal to one of your ships and a few cents more to receive a reply. Shipping companies have found the INMARSAT a useful business tool as well as a safety feature. MARCH 10, 2016, Authored by Ayelet Avni. End users will always make mistakes; this the nature of being human. So let’s admit it: We are the weakest link when it comes to security. We do not always pay attention to the details — we just want to get it done and move on to the next thing. These days, especially in the realm of mobile, we do things on the go. Sometimes we even do the important things, like listening to our children or talking to our spouse, while simultaneously doing something else. And increasingly, that something else is using mobile devices. By doing multiple tasks at once and paying even less attention than normal, it becomes even easier to make a mistake. That could be clicking a link in an email without verifying the exact address or mindlessly entering your banking credentials on a mobile app that might not be authentic. This lack of concentration creates a valuable — and dangerous — opportunity for fraudsters. It is well-known that today’s cybercriminals leverage advanced technologies and have access to collaborative communities. Combine this with a victim’s unintentional mindlessness and the fraudsters basically have an open door to your data and money. Fraud attacks are creative and well-planned, and fraudsters learn quickly how to turn their targets into victims. For example, if a phishing campaign looks too obvious, then it may only fool audiences that aren’t security-literate. More informed targets require a more sophisticated campaign. In the mobile arena, fraud attacks must be equally well-designed and provide an excellent user experience since customers are sensitive to design issues. In these cases, even a security-oriented audience may be tricked and believe that the bank is the one that asking them to reauthenticate as part of the app journey. Fighting human nature and rejecting technology are both fruitless pursuits. Instead, the solution is to make sure banks and financial institutions implement the proper protections for online and mobile banking customers. If the user is the weakest link, it follows naturally that endpoint protection should be strong — stopping fraud at the very first stage. Having protection on the mobile device for online banking is not a question of advantage or a great differentiator; it is essential. The trends that we see emerging and the speed at which mobile banking fraud is evolving should be a signal to us all. At the end of February, Secretary of Defense Ashton Carter told a House subcommittee that U.S. Cyber Command (CYBERCOM) is conducting offensive operations against the Islamic State. This statement went viral. “Make no mistake,” Peter Singer of New America said, “this is a very big deal.” It signals a shift in the fight against the Islamic State and marks the first time the United States has acknowledged undertaking cyberattacks during armed conflict. CYBERCOM’s campaign makes real what was anticipated—the integration of offensive cyber capabilities in strategies and tactics for waging war. CYBERCOM’s attacks have two targets: the Islamic State’s use of social media and its use of cyber means to engage in command, control, and communications in military operations. In terms of social media, the White House instructed the Department of Defense to use CYBERCOM’s capabilities against the Islamic State after the terrorist attacks in Paris and San Bernardino again highlighted how the Islamic State exploits social media to radicalize and recruit. 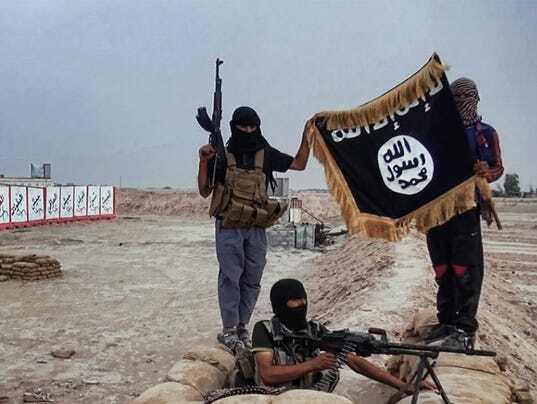 Government and private-sector efforts to combat these activities, such as the Department of State’s counter-messaging campaigns, were not working—and foreign fighters continued to join the Islamic State. With mobilization of the .gov and .com domains ineffective, the White House ordered CYBERCOM to degrade the Islamic State’s online presence. This move connects with other post-9/11 decisions that elevated the military’s and intelligence community’s roles in counterterrorism when law enforcement and diplomatic efforts proved inadequate. The conclusion that military cyberattacks are needed to address terrorist use of social media is unprecedented and unanticipated—degrading Twitter-enabled terrorism was not on CYBERCOM’s agenda when it was established. Do ‘Guardian Forces’ Belong in the Military? Guardian forces are the increasing numbers of military and non-military personnel who perform national security tasks far from direct violence, like in combating cyber threats, operating satellite constellations, or remotely controlling drones. Increasingly critical to the nation’s security, they often fit uneasily into the longstanding conception of U.S. military service. Maybe it’s time Congress and the administration consider pulling some of these functions out of the Defense Department. Since America’s founding, the military has been the nation’s sanctioned organization to master and employ violence for the common defense. An individual’s military training — beyond a technical skill used in or out of combat — has been focused on building physical fitness, learning to endure physical hardship, emphasizing the need for unit hierarchy, placing the unit’s needs before any individual ones, and accepting the primacy of a mission, even at the possible loss of one’s life. Guardian forces, through a slow, steady rise, are now challenging this understanding of organized violence and its associated culture. They were created by a confluence of factors, including new technologies and security concerns, and the all-volunteer force. New technologies keep more operators in the United States and away from a theater of conflict. New security concerns, in many cases tied to these same technologies, have expanded our understanding of “common defense” to include remote and cyber threats. And the expense of the all-volunteer force gradually, but inexorably, turned many military functions into jobs now performed civilian contractors. Among these new units are cyber, space, acquisition, and portions of the drone realms. Physically removed from violence, they are distinct in many important ways from other parts of the military. Some personnel wear uniforms, but many others — government civilians and contractors — do not. Many personnel possess important technical or technocratic skills for which they are well compensated. Their cultures are only tangentially shaped by the expectation of inflicting violence. And while critical to the nation, their capabilities are only loosely tied to the military’s core competency of employing and experiencing organized violence. Today’s military is a holding company of several non-military national security and public service capabilities. It’s time to recognize this, and think about whether guardian forces should be reorganized, resourced, developed and employed differently. Brian Castner's new book offers unflinching testimony of how the IED devastated the EOD community in Iraq and Afghanistan. The face of the man who wanted to kill me wasn’t immediately visible — the photo of him required close examination. My company commander took the picture while deployed to Iraq in 2005. On a noontime reconnaissance mission, he’d captured a million-dollar snapshot: a man in a ghillie suit emplacing an IED at midday. Except my commander didn’t notice; he only realized it when he returned to his outpost and reviewed the images. Under camouflage netting, in 100-degree-plus heat, a man lay perfectly still, as if staring down the camera — singularly focused. My commander’s unit never caught the man in the ghillie suit. I’ve never forgotten the image. We looked down at the sketch. The JERRV [Castner’s truck] was circled in black and crossed out with an X. That is to say, someone clever and daring wanted to kill him and his brothers. They even drew a picture. Castner comes to terms with an unpleasant realization: that the whole of human ingenuity and creativity, the brilliance of the inventive mind, was scrawling out a plan for his death in a childlike hand. Castner’s book is about the explosive ordnance disposal crews who worked to ensure that these bombers failed, but at its core it is an elegy to a brother-in-arms he lost when they succeeded. Much of the text is rumination upon the life and death of Air Force Tech Sgt. Matthew Schwartz, his close friend, killed in Afghanistan in January 2012.